In Lanzarote the temperature is warm the whole year, but the fall is one of the best seasons to enjoy some cultural plans in addition to the beach and pool moments. Don’t you know what to do on your next holiday? Here you have a few things to do in Lanzarote in autumn and some tours to discover some of the best places of the island. Papagayo Beach: this beautiful cove made of golden sand and crystal water is one of the best beaches of the island. It’s perfect to rest, swim or snorkeling thanks to its calm water. 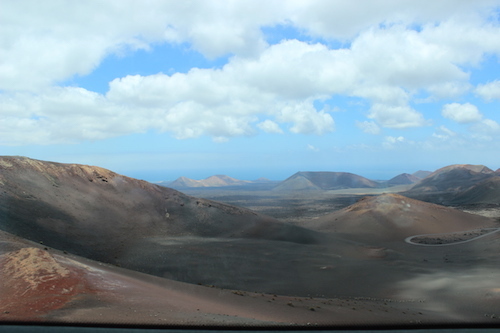 Timanfaya National Park or “mountains of fire”: an incredible landscape of red tones that will make you feel like you have traveled to a different planet. 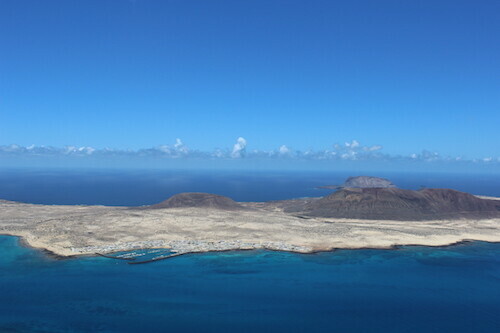 The visit consists in a tour through the areas affected by the volcanic eruptions of the 18th century, which covered the island with lava and ashes. Jameos del Agua: it’s a very interesting formation, an underground lake located inside a volcanic tunnel, produced by a volcano eruption too. On it you’ll find an originally specie of the island, the blind crabs, a white crustacean who highlights on the bottom of its crystal water. Mirador del Río (the river lookout): made by César Manrique, the famous sculptor from Lanzarote, this beautiful balcony offers a stunning view to La Graciosa island. Cueva de los Verdes (cave of the greens): enjoy this long tour inside the island. It was also originated by the volcanic activity and offers some singulars landscapes of stalactites, stalagmites, underground lakes and endless galleries with red walls. But this is just the beginning, the little Lanzarote island has a lot of places to discover and they can be visited in every season of the year. It’s time to start planning your next Lanzarote holiday, see you in Sandos Papagayo!